I found out about the miracle berry (Synespalum dulcificum) from my dad who forwarded me this article on a craze in New York called Food Tripping. Partygoers would munch on this berry and bounce down the rabbit hole of food sensations. This was right down my alley of food, new crazes, a little bit of chemistry and just a little bit out there to be a fun party trick. I secured a plant from Daley’s Fruit Nursery. planted it and gave it tender loving care waiting for my berries. And now, after 5 long years I have a plant full of berries. (I recently learnt the flowers can self-pollinate but sometimes a gentle shake of the tree helps – not sure if that’s what has kicked it into gear). It’s a native of western Africa isn’t without controversy. In the 1970’s there were attempts to commercialise the berry but there was resistance from the sugar industry (some say sabotage). Unfortunately though miraculin doesn’t like heat and doesn’t last long once it’s picked. Some people are selling it frozen or dried though reports suggest it’s not that great a result. The berry is about 2cm long and the flesh is much like a lychee with a big slimy seed in the middle. The fruit itself is quite palatable but you’d need a fair amount to get even close to a serve of fruit in your diet. Grapefruit – much the same as the lemon though the flavour wasn’t as different. Granny Smith Apple – no real change but my wife ate it prior to the berry it was one of those rare non-bitter granny smiths. Black coffee (instant) – my wife being a non-coffee drinker found the coffee bearable. I found it quite like a milked coffee with sugar. Some people have asked does it numb your tongue? No it doesn’t There’s no real effect at all other than the sweetness of the berry. It’s not until you chow down on a lemon for instance that you realise it’s actually working. I read one “party trick” where you take a guest around your garden asking them to taste various plants. 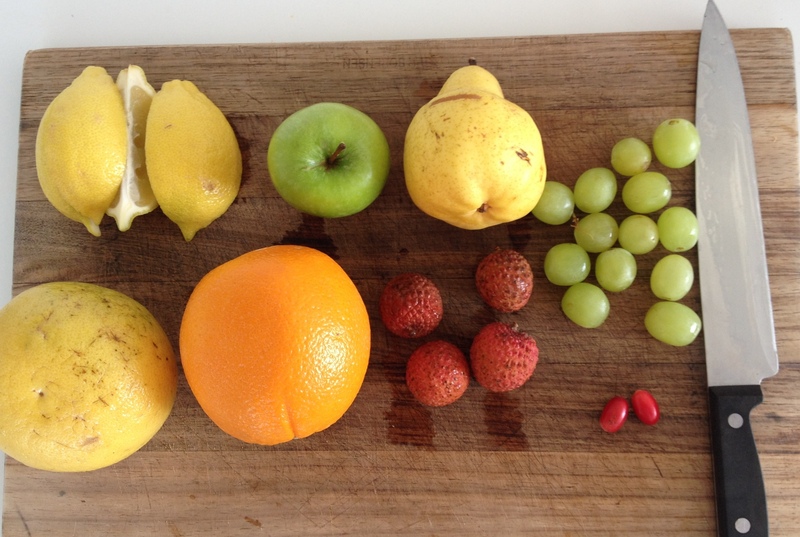 At some point get them to taste the miracle berry then move onto the lemon. You can exclaim that you have found a new and rare type of lemon that tastes just like lemonade. Beer – apparently it can make it taste like lemonade as well. Raid the alcohol cabinet with frangelico, sambucca etc. Hot sauce will have layers of peppery flavours – not just heat. Pineapple will taste like candy. 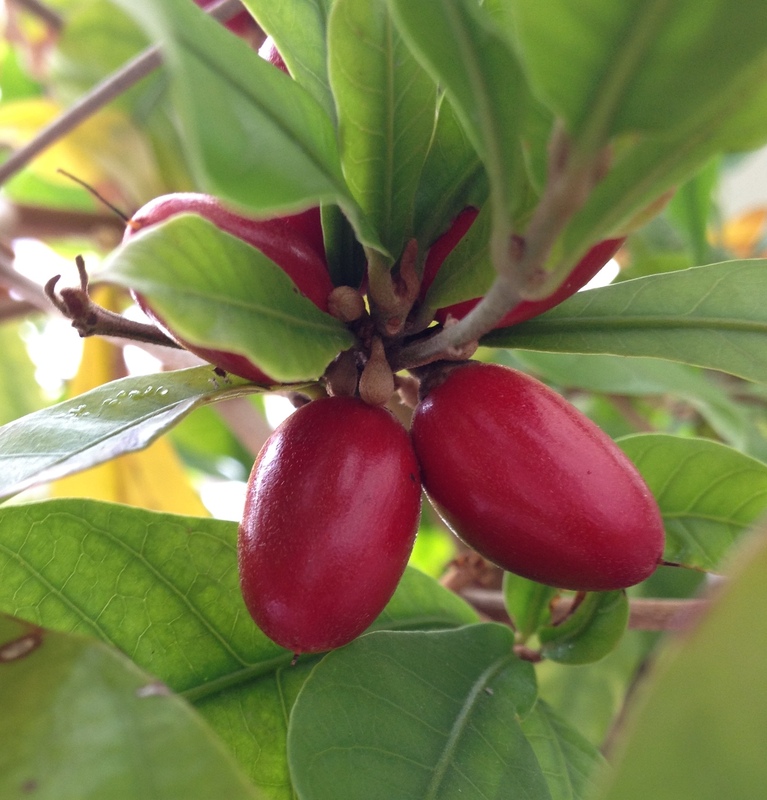 Have you tried this miracle fruit? Either way what types of food, or combinations of food do you think would be a trip? I’m happy to put my body on the line in the name of science. When people travel the world they usually tell stories of the architecture, the people and the food. Nationalities have their own food that has evolved from over hundreds if not thousands of years. It’s usually very healthy for you. Michael Pollan, author of “Food Rules”, described the “French Paradox” in that the French are healthier than Americans despite eating cheeses, wines and foie-gras in large quantities. Makes sense right, if the food wasn’t nutritious and allowed a full and healthy life then that culture would probably have died out! So what is Australian food? And to be clear I’m talking about the 2nd Australians – western / Caucasians, not the original people of the land (and without a doubt their food is nutritious and mostly pretty nice). With Australia day upon us I’ve seen commercials and advertisements for various “Australian” food. And while I know what Australian food is definitely NOT (like hot dogs, doughnuts and probably pickled food) there’s a lot of grey area. A burger with the log (presumably they are including beetroot and pineapple). A mixed grill (just a fancy BBQ in my mind). Avocado and vegemite on toast. Pumpkin soup?? Sticky data pudding?? Not sure about those – sorry Matt, another thing we disagree on. And with all the recent news surrounding SPCA (disclaimer: I do work for their parent company Coca-Cola Amatil) and their push for support of Australian grown food has found a friend in comedian Dave Hughes. This article says starting the day with tin of baked beans is a national past time! Not so sure of that but I agree baked beans are pretty Aussie. What else is there? What really reminds you of Australian food? Did you grow up with something particular or if you visited what was the standout food you tried? Hobgoblin brew and learning to cool it!! My brew’s are getting more complex for 2 reasons. The first reason is that I’m building on my skills and enjoying learning the new processes. The second is that so far the the more complex the beer making process the better it’s tasted. And so with my latest brew I’ve added a few extra steps. Today’s brew is someone else’s recipe that I found on an old school site reminiscent of the old geocities sites but that doesn’t mean it’ll be bad. They called it “Hobgoblin at Hanging Rock” and it was a variation on the Hobgoblin Ruby Ale made by Wychwood brewery in the the UK. The tasting notes from Wychwood are “a delicious chocolate toffee malt flavour, balanced with a rounded moderate bitterness and an overall fruity, mischievous character“. Sounds excellent. So the 2 new parts to this are the use of grain and cooling it down. Using the grain is just a small extra step to boil up some water and steep the grain for 20 – 30min. Then strain that out and put in on the 60min boil with the malt, extract, dextrose and hops. Cooling it down – the wort (the malt / extract mixture) is vulnerable to wild yeast that’ll turn it bad until you can get your brewers yeast in and it starts to produce alcohol. I’ve got a good 10l of wort that’s just been boiling for 60min and remember the sugar content of this is high so it’s like a big pot of liquid toffee and all it’s latent heat. So to protect it I want to cool it fast, down to at least 32C, so I can “pitch” my yeast in. Some people have special coolers, some people pre-cool a stack of water to top up the wort to 23L, other’s use a bath….which is what i did. Picked up my entire pot and stuck it in the bath with lots of cool water. Dropped the temp down to 50C quite quickly and topping it up with normal water brought it down to 24C – fine for pitching my yeast. It’s now in the fermenter for the yeast to do it’s thing, next update on this will be about 4 weeks away. As with most things in my life, the more I know the more questions I have. And from this experience I have 2 main Q’s. What gives beer the bitterness? I like a bitter beer and I’m sure it’s something to do with the hops and perhaps the grains. I’ll do some research on this and let you know. However the BIG question I have is what is the etiquette on beer names. I’ve used someone else recipe so should my beer be called the same? I’d have to vary it to my tastes before I can change the name right? What do you think? The Hightale AleI brewed a few weeks back is now ready for a drink. I believe it’s probably the best beer I’ve done to date and I wonder if that’s because of the extra steps in the brew process. No doubt – it has more flavour complexity and depth than some of the straight up coopers can brews I’ve done in the past. It’s a great example of an Amber Ale which is expected. Very subtle hops, a nice bitterness and a deep malty flavour and colour. I’ve not yet learnt the IBU’s and colour metrics so can’t comment on those specifically. Golden Ale has a lighter colour (than amber ale) and stronger hop flavours. 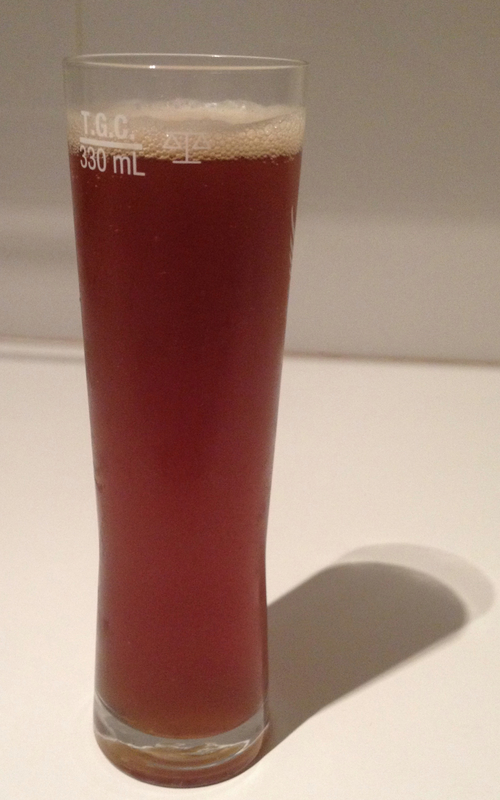 Amber Ale has a darker colour and a stronger malt flavour. So if I take colour as the prime differentiator (which is as a result of the ingredients) – what is darker vs lighter? There’s a colour measurement standard known as “Degrees Lovibond” developed by Joseph Williams Lovibond. Based on this scale a beer can be lighter or darker as shown by this image (not mine). However – as with most “standards” some people have got their hands on it and adapted it somewhat. That’s where the Standard Reference Method comes in and is explained well by BrewWiki.com in the table below. 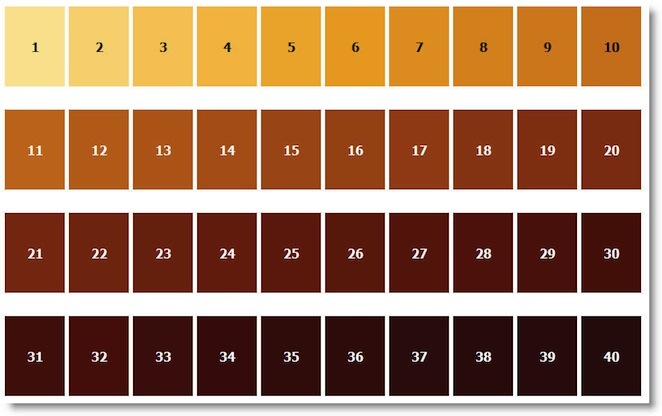 So for our discussion the Golden Ale needs to sit between 4.5 and 7.5 while the Amber is a little darker at 7.5 – 9.0. All this makes me want to brew a Golden Ale next. However, my next brew will have some specialty grains (Chocolate and Crystal) and some extra Malt so it’ll come out darker such as the Amber. It’ll be an Amber Draught Ale. Will let you know how it goes. “Agaricus bisporus” Mushroom box kit looks a bit dry. Picked up a mushroom kit from Enfield Produce just after the New Year. Have been wanting to try it for a while but got a little stuck thinking I’d try and do it all from scratch i.e. making my own medium etc. These were only $22 for White Button Mushroom or the combination Portobello / white button kit was $24. 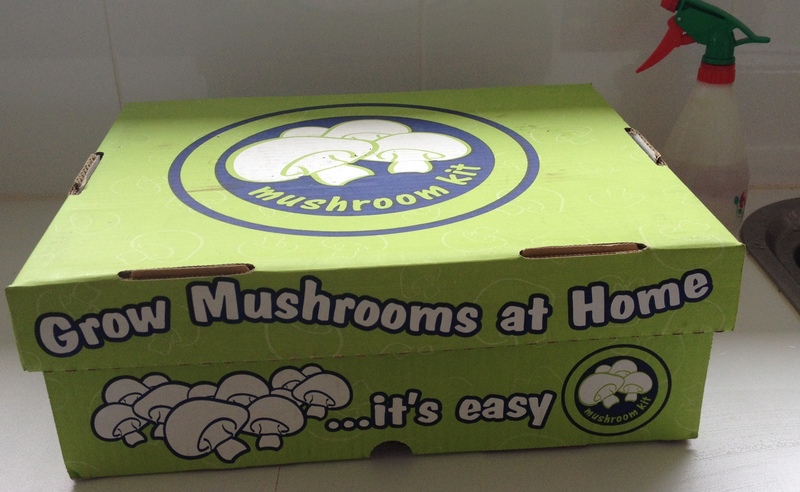 Reasonably cheap but to make it cost effective I’m going to need more than 2kg of mushrooms – let’s see how that goes. 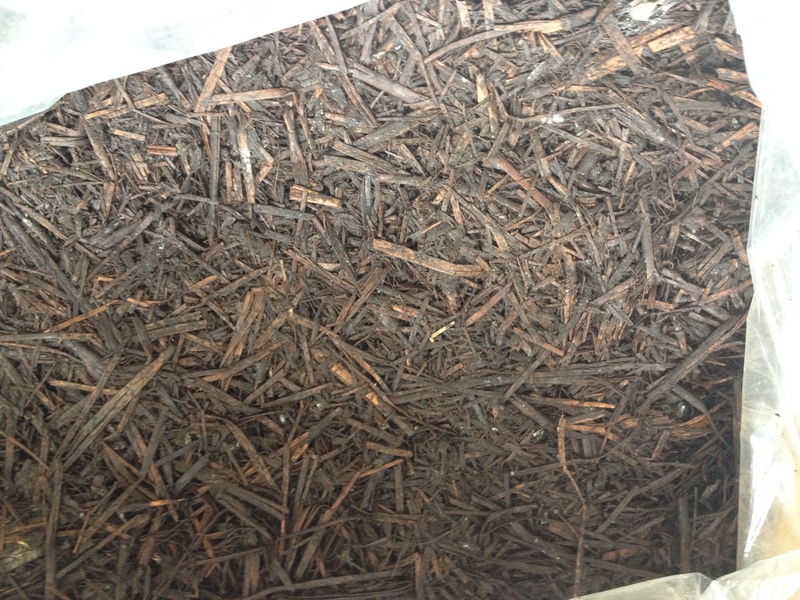 I opened the box up today to get it started but noticed the compost is still very brown. The instructions suggest it needs to be quite white and spiderwebby as the inoculated mycelium has “run” through the compost. So I’ve boxed it back up as suggested and will check it out in a few more days. Do you think it looks a little too dry? I’ve sent a note to the manufacturer to see if I should be adding any moisture at this stage. [EDIT] Received a very quick response back and they have said to leave it till it goes white, don’t add water. Stay tuned for more pics and updates. Have you grown mushrooms before? I hear they are pretty hit and miss! Any tips? I’ve been pretty slack with my updates. A lot has been happening but will need to leave that for another post. For now though…. The big difference in technique with this is that I boiled the wort for 60min and dropped the cascade hops is as per the schedule. Normally it’s just dump the extract and sugars in with some boiling water and top up with cold water. Specific gravity on day 1 was 1.050 -much higher than 1.037 expected. Not sure if this means it’ll have a higher alcohol content or perhaps a sweeter flavour. Update on this in 4 weeks or so. I should say that this isn’t my recipe – it was taken from a HomeBrewAndBeer forums.